When Gunther refused to listen to this (suggestion), however, Hagen advised him to secure the aid of Siegfried, as he knew Brunhilde well. Whereupon King Gunther asked the hero to stand by him, and Siegfried replied: “I will be happy to do so if Your Highness allows me to marry your sister. That is my wage, I require no other thanks. 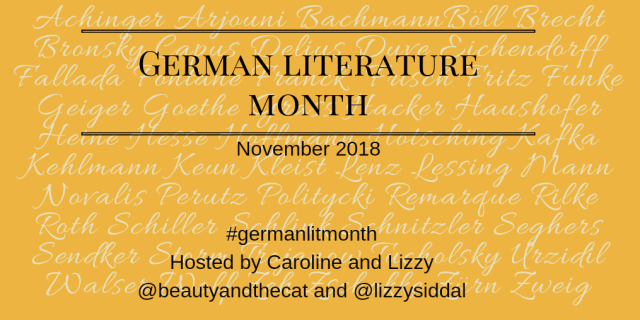 The thing is, Brunhilde and Siegfried have a history (even if he can’t remember it…), and while the plan goes smoothly at first, the new queen soon realises that she’s been duped. She’s a woman scorned, and there are plenty of people around who will help her take revenge. As you can see, it’s all great fun. This is a story that I’d heard bits of before, but never really knew. It’s a classic tale with classic themes, with the characters passing through stages of friendship, betrayal and revenge, with an inevitable fate hanging over them all the while. The familiar feel to the structure is offset by the setting, with the heroes traipsing through Mitteleuropa (the Rhine, the Danube, Bavaria, Austria, Hungary) rather than Camelot or Sherwood Forest, and there’s even an excellent battle scene to top it all off. What’s not to like? Siegfried himself is a familiar kind of hero. He’s Achilles-like in more than the sense of having one vulnerable spot (for the River Styx and a thumb read dragon blood and a leaf!). Strong and kind, but also a bit dumb, he’s far too trusting for his own good. You suspect that a smarter (or less confident) man would have seen it all coming. Certainly, the signs are there early on that not everyone is happy to have him at King Gunther’s court. Surprisingly, the Nibelungenlied isn’t really about him, though, with two of the other characters stealing the spotlight. As the story progresses, Kriemhilde comes ever more into the foreground. Initially, she’s your run-of-the-mill passive royal woman, happy to have been allowed to marry the handsome prince, but we soon see a nasty streak to her in her determination to put Brunhilde in her place. Once Siegfried is gone, her grief brings this dark side into the open as she transforms into a psychopath bent on revenge. Even those around her (including her legendary second husband) are appalled at the lengths she will go to avenge her man’s death. It makes for a rollicking story, and I enjoyed it immensely, with a couple of caveats. Firstly, this is essentially a kids’ retelling of a classic text. There are versions out there more faithful to the original poem, and I’d like to take a look at one of them one day. 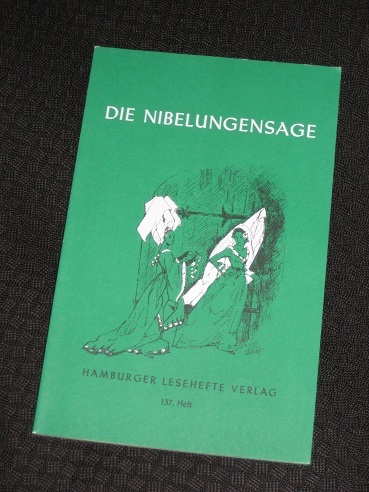 Secondly, as mentioned, the Nibelungenlied is just one part of a wider story. Wagner’s Der Ring des Nibelungen focuses on the mythic part of the story, providing more of Siegfried and Brunhilde’s backstory, and I’d love to learn more about that side of the tale (here, Siegfried is dispatched very early on). In English, the A. T. Hatto’s prose translation of The Nibelungenlied, the Penguin edition, is thrilling, a terrific book. It may not be so different an experience than what you read. There is also a fairly recent verse translation by Burton Raffel that is tempting. I’ve just posted my own review of the Penguin/Hatto version. I agree it’s a rollicking read but I can’t really see how a children’s version could be made from what I read—still kids like a lot of blood and gore so I guess they could. Kriemhild turns into some sort of avanging monster by the end doesn’t she? I want to read it again.